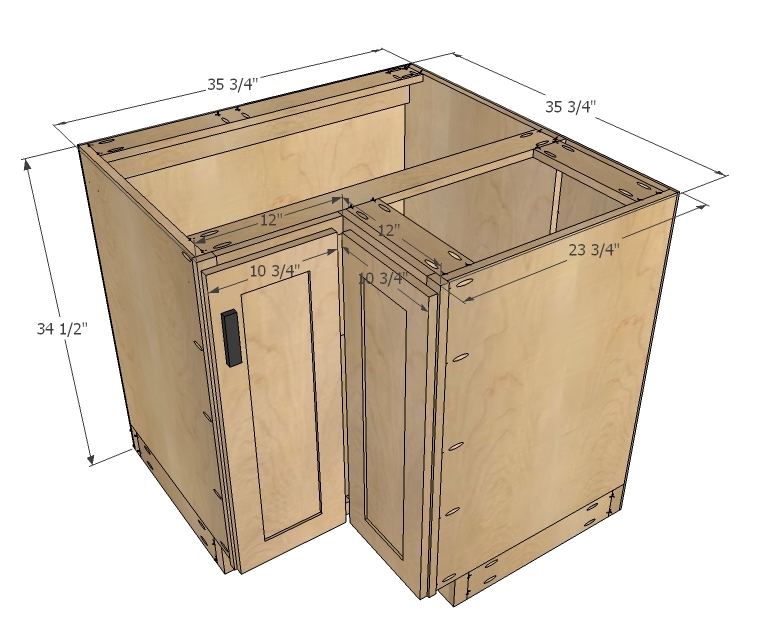 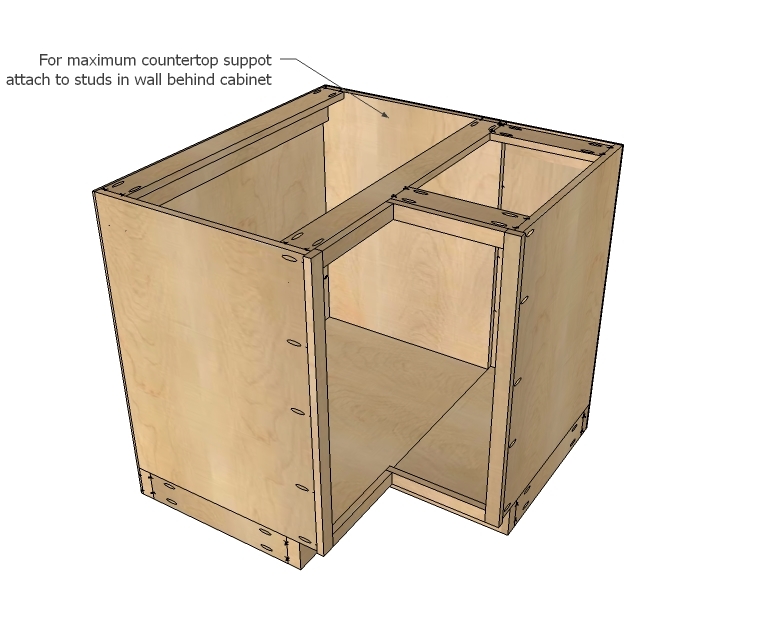 The corner cabinet is designed for standard 36″ x 36″ corner with 34 1/2″ height and works with existing cabinet plans with full overlay/face frames. 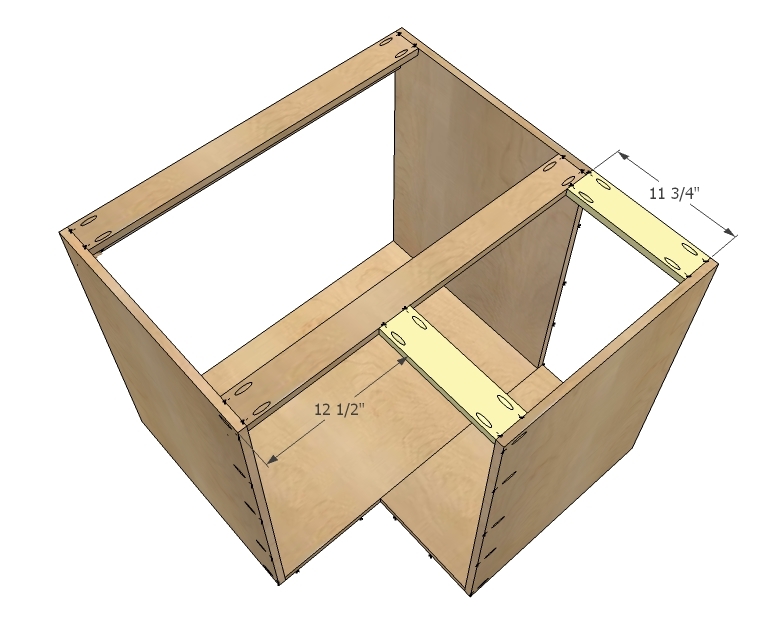 1 – sheet 3/4″ plywood ripped into 22 3/4″ widths, 8 feet long (we’ll be calling these 1x24s in this plan) PS – Save the scrap in the center! 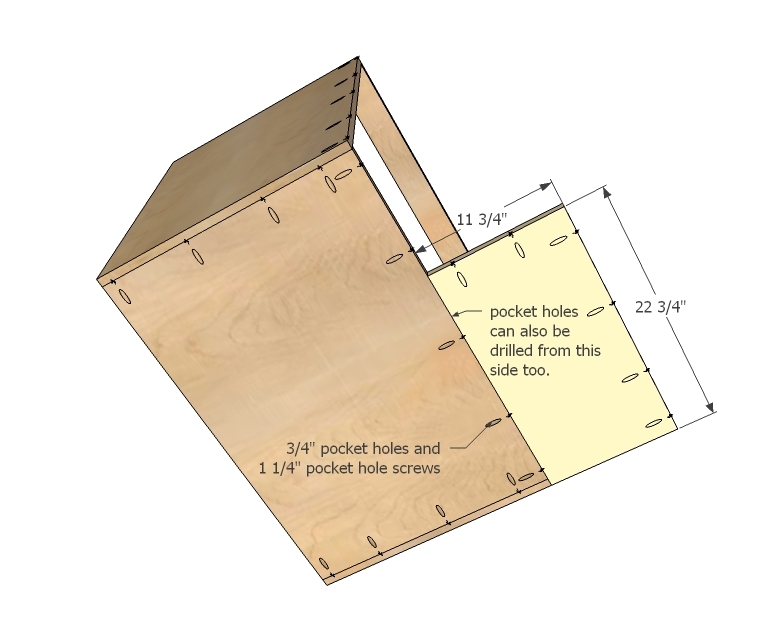 The main thing to remember in this plan is to drill all your pocket holes first. 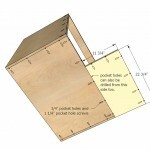 And if you are attaching face frames with pocket holes, drill them before assembly. 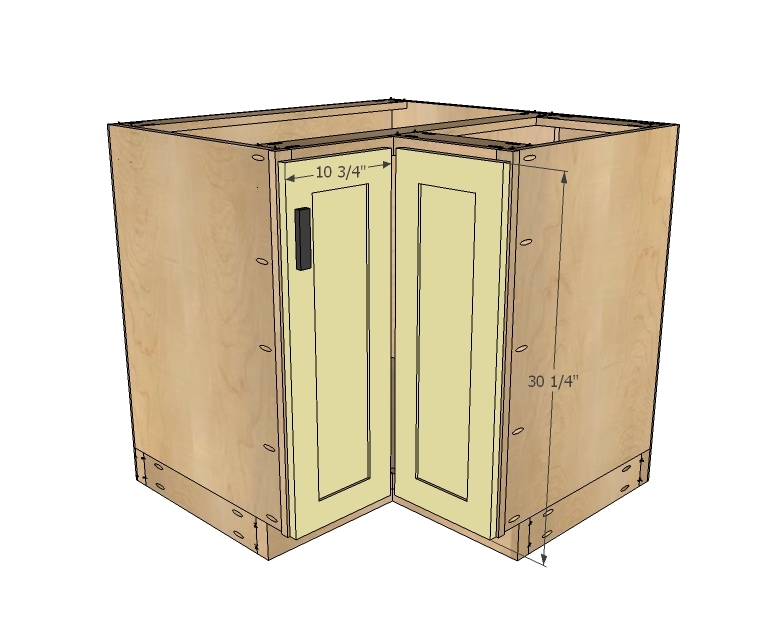 One of our very bright readers suggested drilling pocket holes for face frame attachments on the outsides because they will be covered up anyway and the inside will be completely finished. 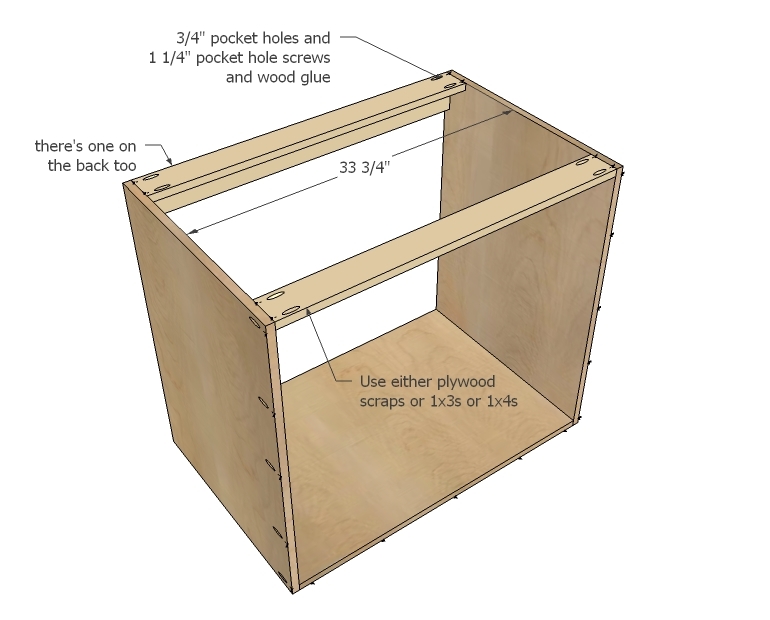 Attach bottom to sides with glue and 1 1/4″ pocket hole screws. 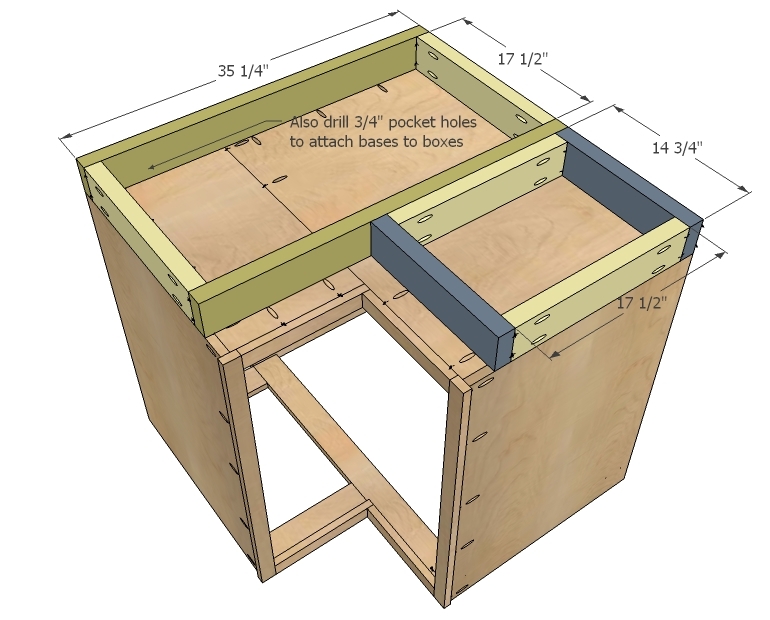 Once you get the main box built, it’s time to add some supports. 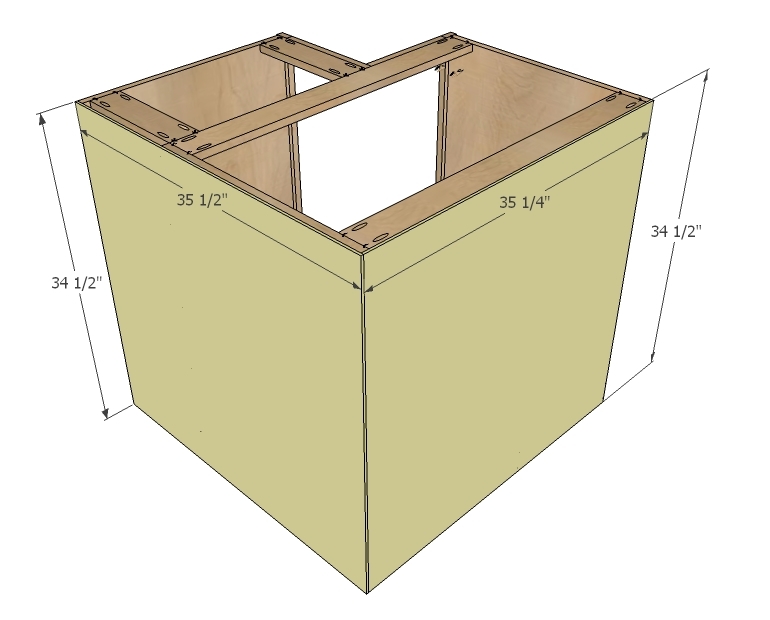 These could be the 1x4s or the scrap strip of plywood leftover from ripping into 1×24 strips. 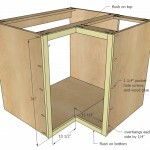 Now it’s time to add the bottom for the adjoining side. 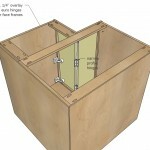 You will need to use 1 1/4″ pocket hole screws and 3/4″ pocket holes to attach. 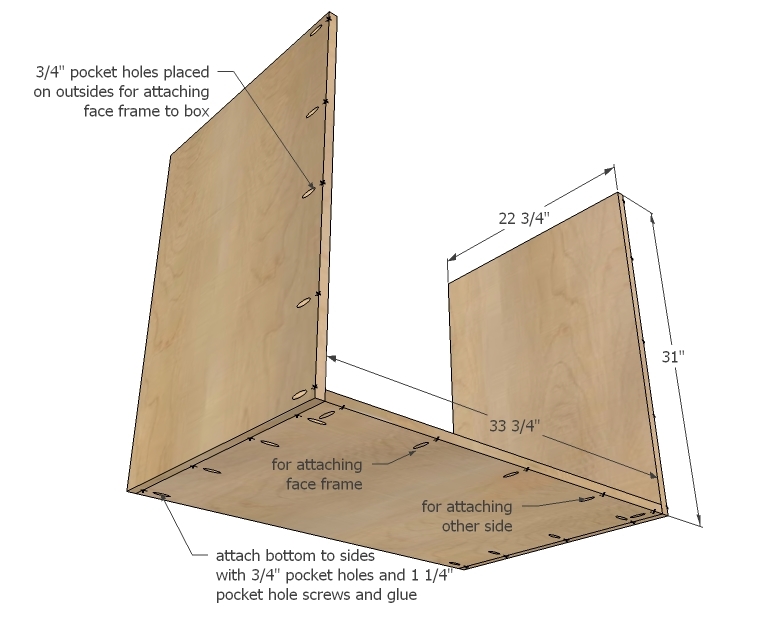 Make sure you predrill pocket holes for attaching face frame and side. 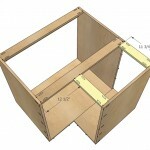 This seam will be fully supported by the base in later steps. 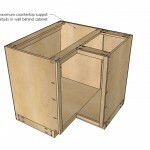 And then the side supports. 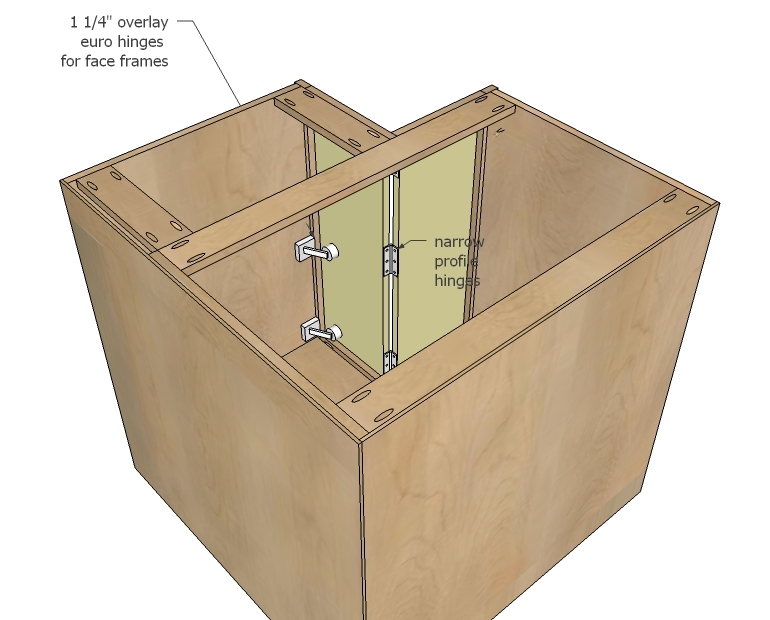 Build the face frame first, and then attach. 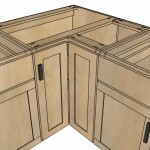 Remember the sides overhang by 1/4″ to give you some “wiggle” room when installing the cabinets. 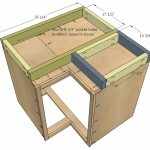 Build bases seperately also, drilling holes for attaching to bottom of cabinet. 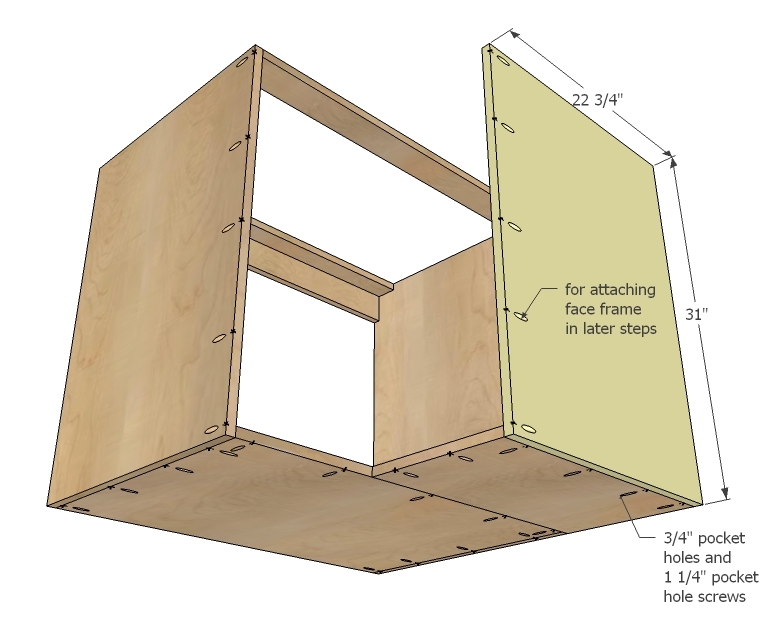 Attach in place. 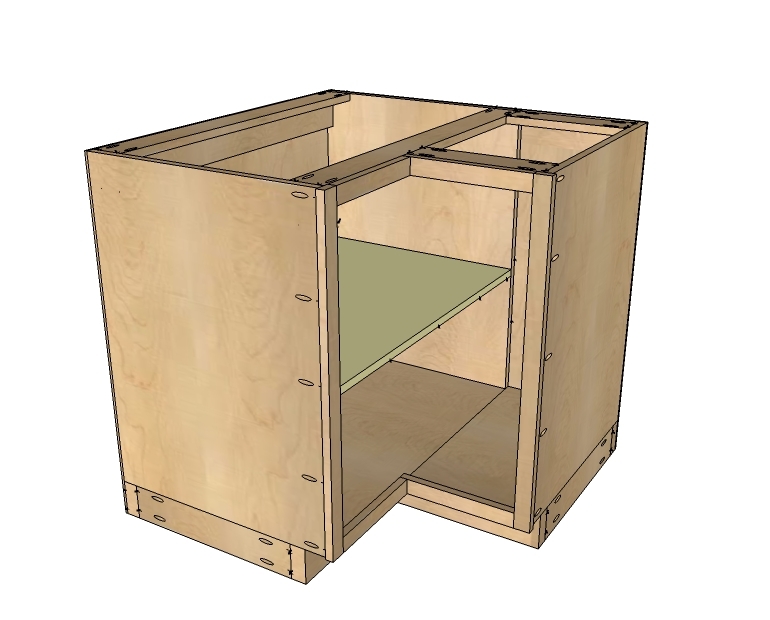 Plywood the backs, attaching with glue and 1 1/4″ finish nails and 3/4″ finish nails when you nail into 3/4″ thick boards. 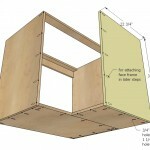 There’s different ways you can do shelves, but I personally loved this way. 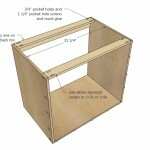 I recommend fixing the shelf in place with screws rather than shelf pins just due to the size of it. 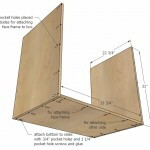 When you go to install the cabinets in your kitchen, I recommend attaching backs to walls to support heavier countertops. 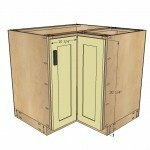 There are other hinges types, this is the most basic installation. 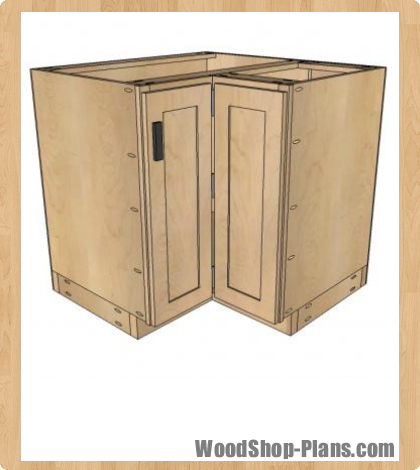 If you choose a different hinge type, you may need to adjust your door widths for the best fit. 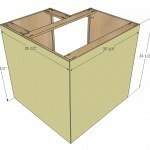 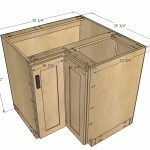 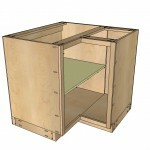 My recommendation is to take any scrap 3/4″ plywood – that is if you have any! 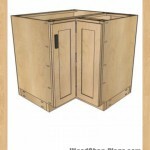 – and cut door slabs and fit until you are happy before making doors. 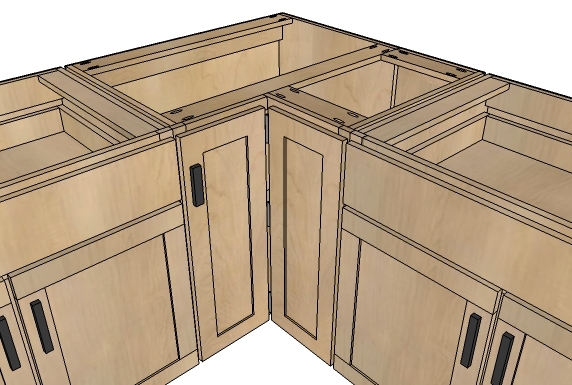 And this one is just to show how the cabinets line up with other models. 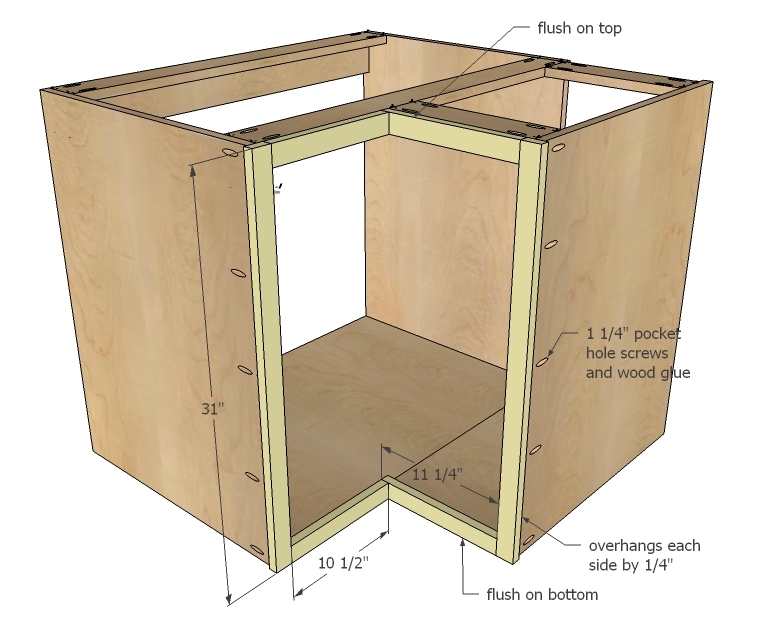 Gaps between doors and drawers is in totally 1/2″ everywhere.